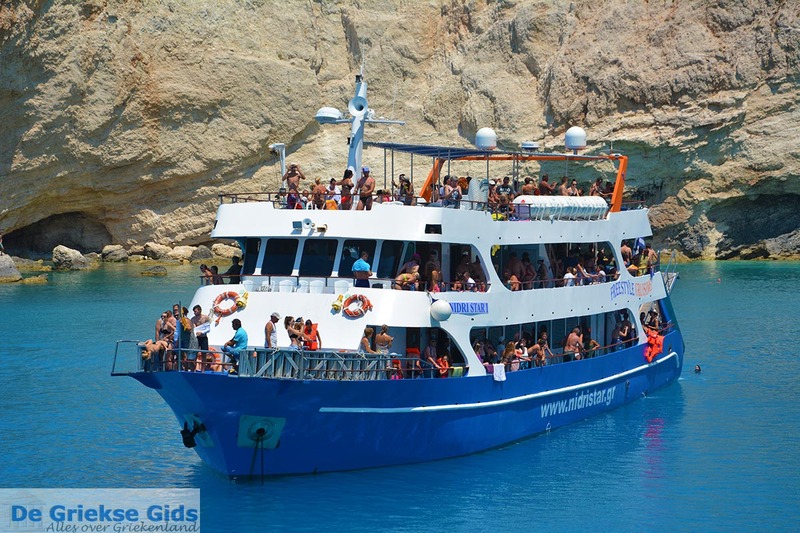 Porto Katsiki. 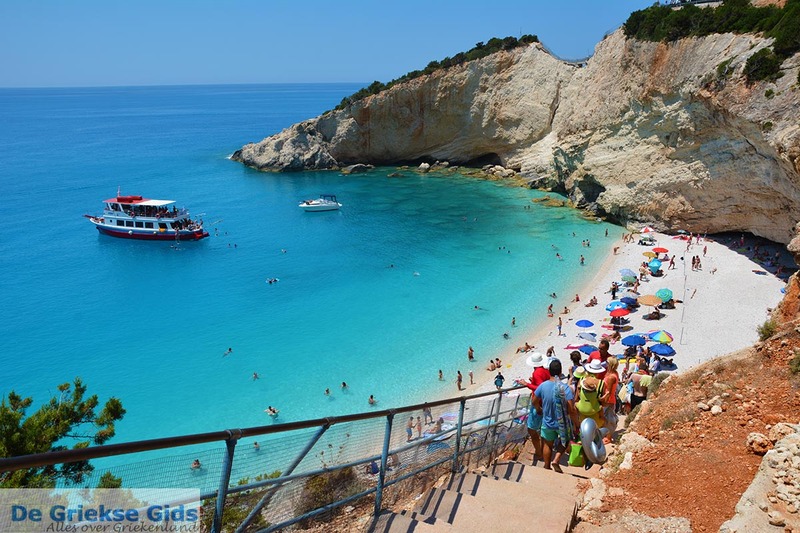 Porto Katsiki is the most famous beach on Lefkada. 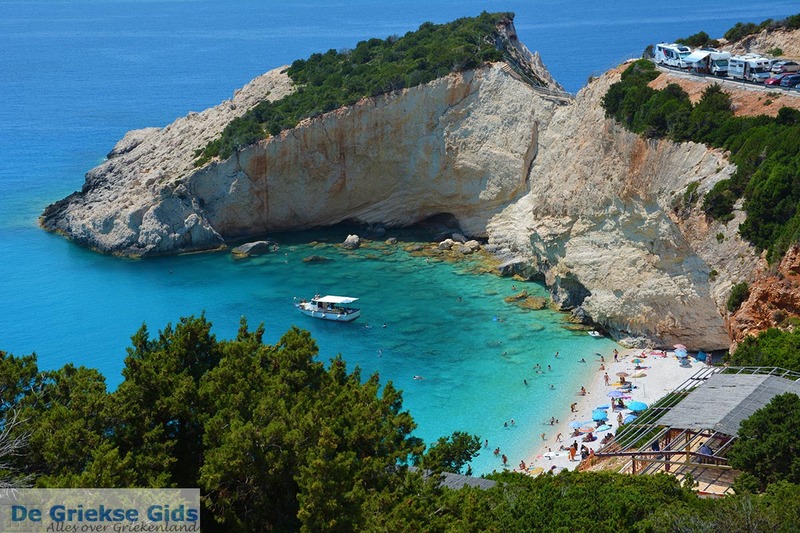 It lies in the southwest coast of Lefkada and is accessible by car or by boat (e.g. 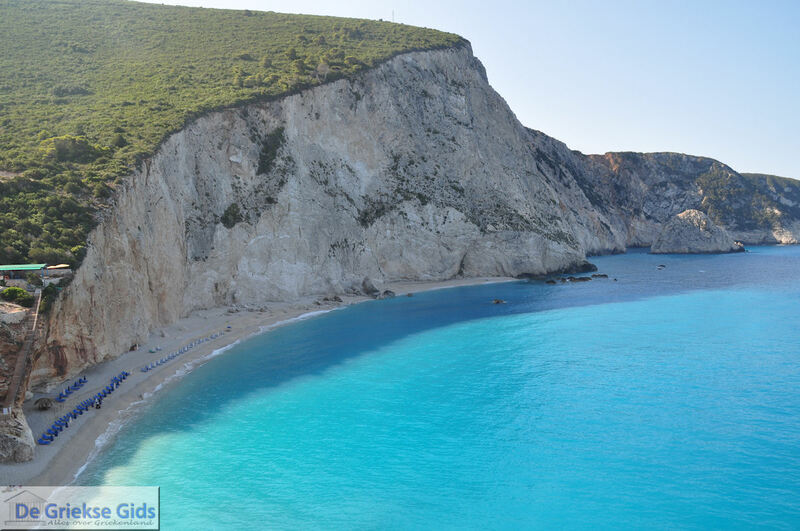 from Vassiliki and Nidri). 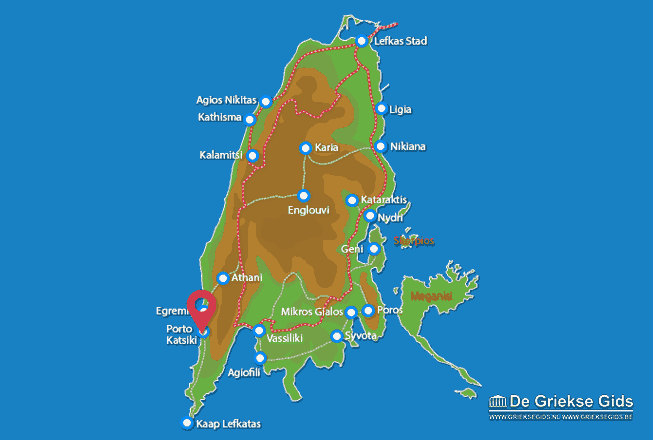 The road to Porto Katsiki has been completely paved and the route here is incredibly beautiful, everywhere you see green trees and bushes. 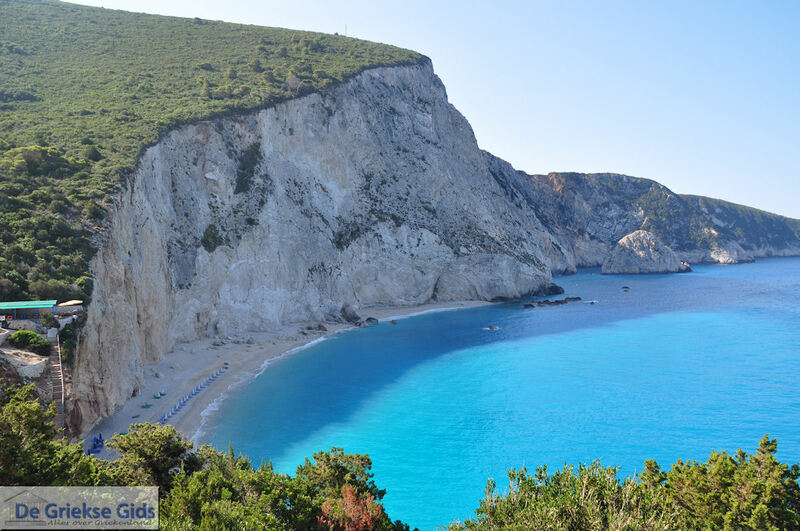 The views to the Ionian sea are magnificent. Near the beach is a lot of parking space where you can leave your car for a whole day. 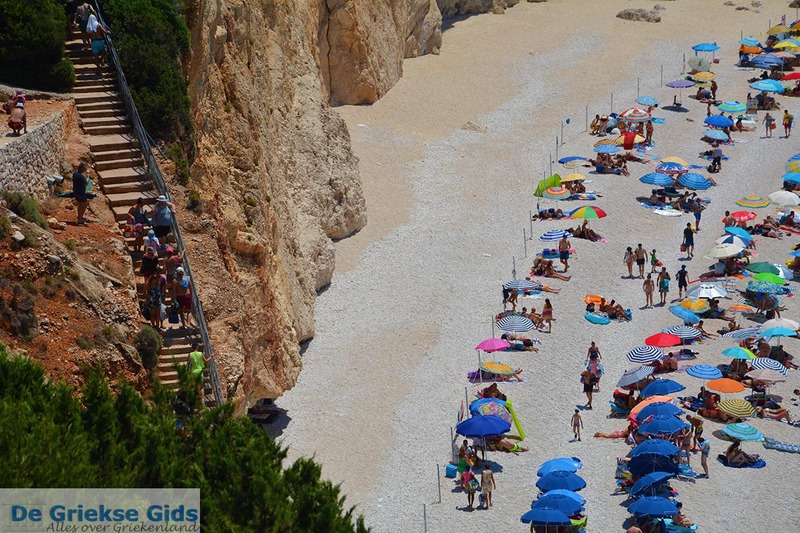 From here, you can walk down the stairs to the beach which is surrounded by steep cliffs. 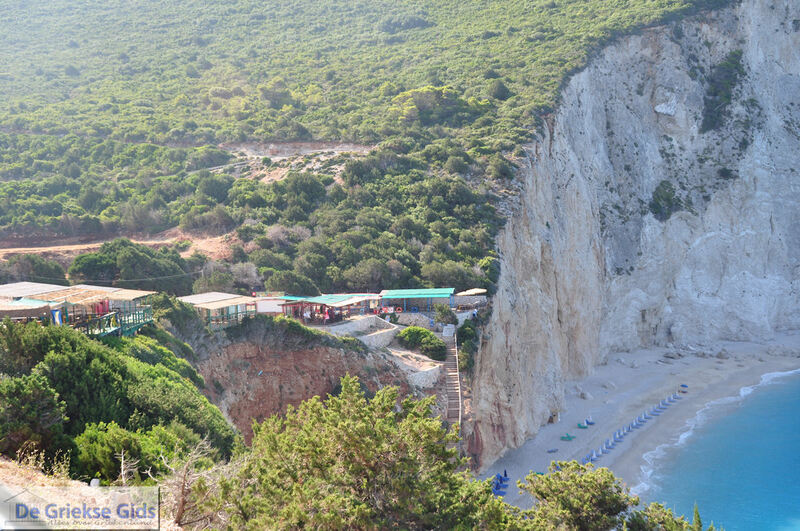 On top of the cliffs are several tavernas where the view to the turquoise sea is truly outstanding. 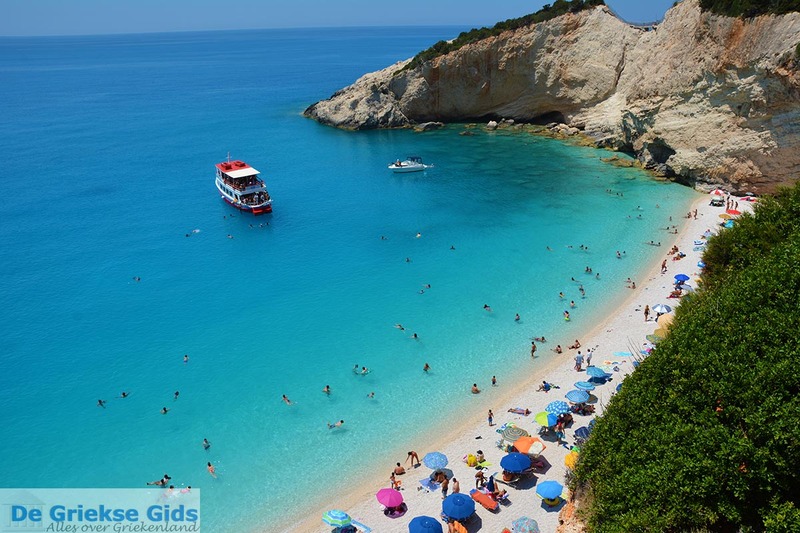 On the beach are sunbeds and parasols to hire. 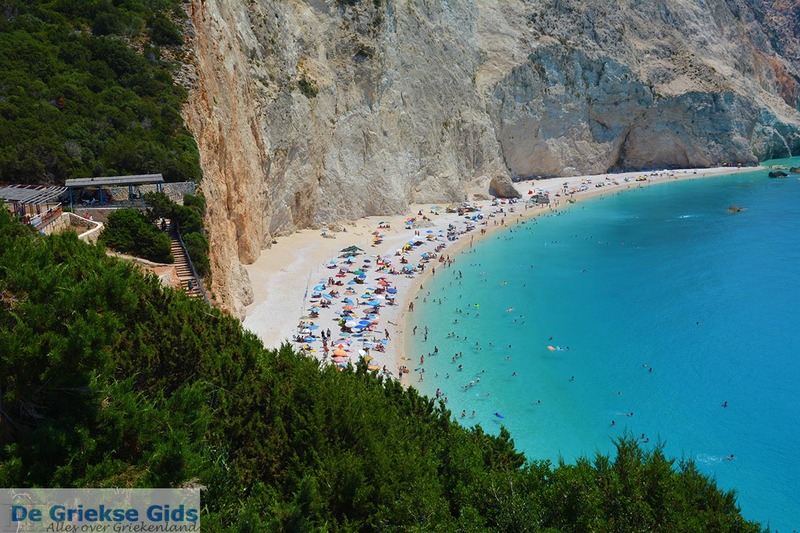 Porto Katsiki is located about 40 kilometres from Lefkada town and is one of the places you definitely should visit on the island. 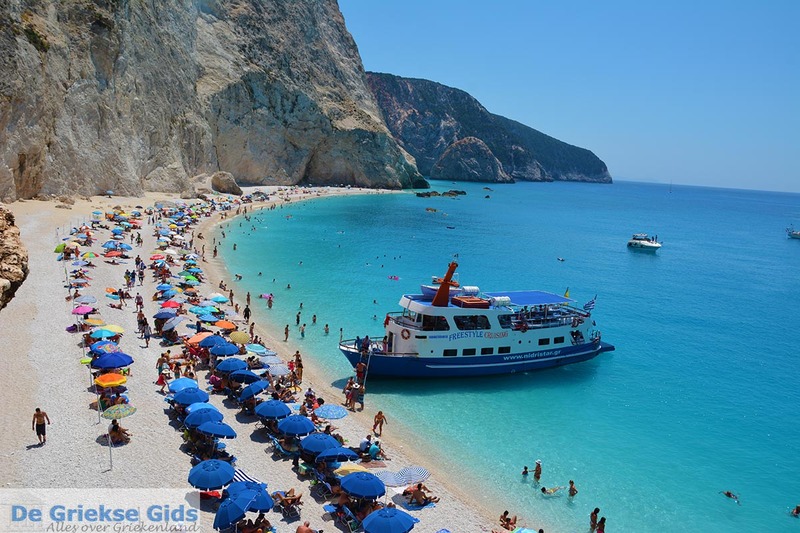 Lefkada: Where on the map is Porto Katsiki located?